When I released my first novel, Dead City, there were only a handful of zombie books out there. Skipp and Goodfellow had done their Books of the Dead and Mondo Zombie, and Brian Keene had done The Rising, and Robert Kirkman was just getting The Walking Dead graphic novel series started. If you were willing to search online you could find David Moody, J.L. Bourne and David Wellington serializing their first zombie efforts, but that was about it. Dead City entered the market in 2006 to a hungry zombie readership, and readers devoured it. But Dead City wasn’t alone. That same year, zombie fans got another sweet treat in the form of Gospel of the Living Dead: George Romero’s Visions of Hell on Earth, a probing analysis of the zombie films of George Romero. The author of that book was Dr. Kim Paffenroth, professor of Religious Studies at Iona College in New York. I was impressed with Dr. Paffenroth’s credentials, and when he contacted me and asked if I’d like to take a look at what he’d written, I jumped at the chance. 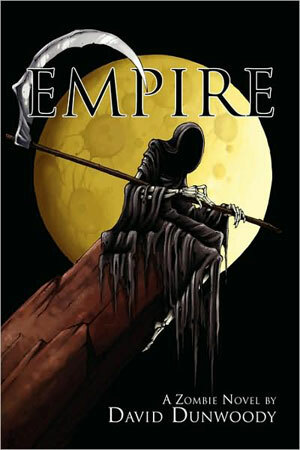 I was delighted with what I read, and I was delighted yet again when it won the Bram Stoker Award for Non-Fiction. And then Kim contacted me and said he’d written a little zombie novel of his own, called Dying to Live, and asked if I’d like to read it for a possible cover blurb. I said not just yes but hell yes, let me have a look. I’m so glad I did, because Kim Paffenroth is a threat on all fronts. 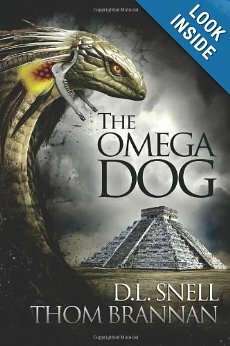 Capable of writing non-fiction on everything from Augustine to zombies in a clear, readable style, he is also capable of writing fiction that probes deeply some of knottiest philosophical issues confronting the spiritual man living in today’s world. I count myself lucky that Kim and I have maintained a steady correspondence over the years. I have watched with great admiration as he’s grown as a fiction writer, and along the way we’ve shared moments of triumph and sorrow. I count him a good friend, and one I’m proud to know. I hope you enjoy this interview, because Kim Paffenroth is one of the truly good guys in this business. Kim Paffenroth: I came at it from a different direction than most people. 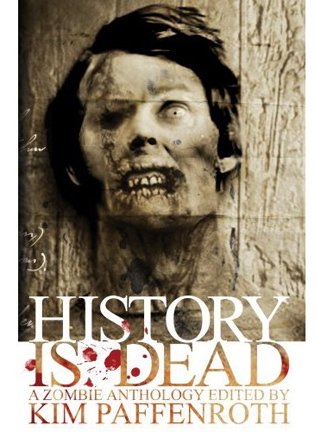 I started out writing nonfiction about zombies – not in the sense of “zombies are real” but I started by analyzing George Romero’s zombie films in a book, Gospel of the Living Dead: George Romero’s Visions of Hell on Earth (Baylor, 2006). 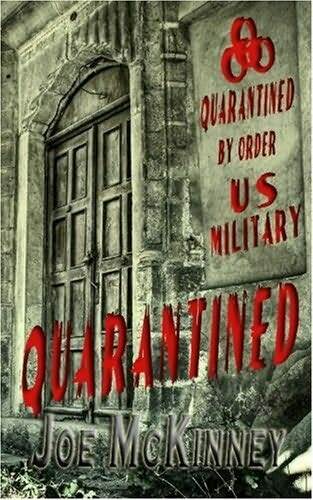 It won the Bram Stoker Award and I got the idea to follow up with some zombie fiction of my own – instead of analyzing Romero’s zombies, I could give mine the symbolic significance I wanted. KP: Oh I don’t think I’d make it very far. I think we’d probably “win” but as in the really great zombie films (Night of the Living Dead and Dawn of the Dead) and now in The Walking Dead, I think the question would be at what cost? We’ve seen how much freedom and privacy we’re willing to give up, post-9/11: what kind of violent, security state would we have if we were always under the threat of walking, cannibal corpses? KP: I’ll never forget the original Dawn of the Dead and the effect it had on my imagination, or even deeper elements of my being and values. To me, it’s the perfect balance between survivalist fantasies of how to prepare and equip, but with a sense of how those things don’t matter, in the face of an existence that has no meaning or purpose. KP: Again, it’s a corollary of seeing something when you’re at a particularly impressionable age. The helicopter partial decapitation in the original Dawn of the Dead is pretty hokey by modern standards, but I remember I could not get over that scene and “How did they do it?” You take a more spectacular kill in a more recent film (I like the bridge-severing in Land of the Dead) and you just can’t look at it the same way, it doesn’t fill you with wonder, because you’ve just come to expect really over the top and complicated and realistic looking scenes like that. 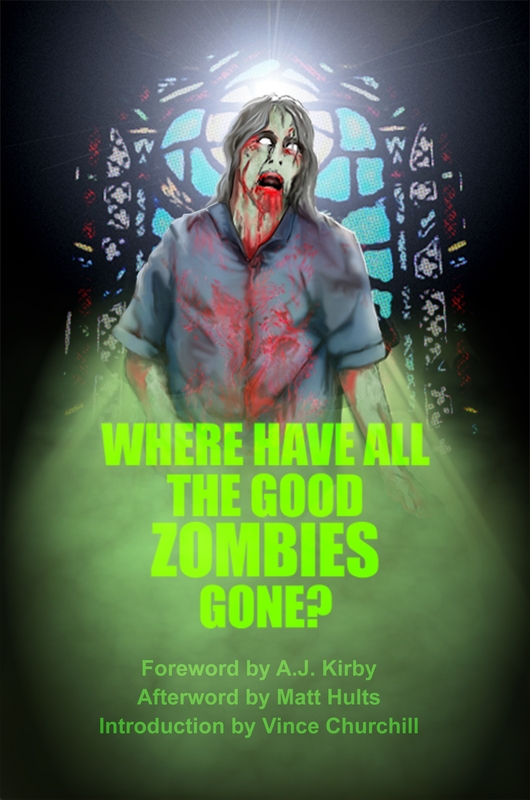 KP: I think the zombie may well survive and be re-imagined for future generations with different perspectives and contexts, but the way you frame the question does underline our current situation as a way of understanding the zombie phenomenon. And by “current situation” I don’t just mean “post-9/11”: that’s the challenge, to see the zombie as somehow responding to something that’s been with us since 1967. So in that sense, I’d say the zombie does embody all our fears of the decline of imperialist America, and the zombie can stand in for a myriad of fears associated with that gradual, painful, violent decline: Vietnam, consumerism, racism, the military-industrial complex, terrorism, the surveillance state, the class divide, colonialism, environmental degradation and catastrophe. You can check out Kim Paffenroth’s many books here, and check out his blog here.